Roughly bounded by Missouri north to Northern, between 7th Avenue and 7th Street. Central Avenue runs north and south straight through the center. The North Central Corridor is one of the pricier areas of central Phoenix, and with good reason. With large custom-built homes, deep irrigated lots, North Central has a decidedly rural feel despite its proximity to downtown Phoenix just a few miles south. The neighborhoods encompassing this large residential area have not received historic designation, but they do have some great history and they have been in place for at least 50 years. Central Avenue itself, now becoming densely built with corporate offices and high rise living in the downtown area, still retains its calm charm and neighborhood feel up here in North Central. The historic Murphy Bridle Path on both sides of Central Avenue preserves the shady, rural feel of this main drag—with unpaved gravel paths and old-growth Elm and Olive trees. From Bethany Home Road to Northern Avenue, you’ll see joggers, walkers and baby strollers appreciating this shady path at all times of day. Streets meander off Central Avenue around mature shade trees and carpets of well-kept grass. This residential calm in the middle of downtown is shared with most of our historic districts but the lush greenness and large acreage is in sharp contrast to most other areas of the valley, maybe most notably in the lack of walls you’ll find here. The Central Corridor has its own mix of architecture ranging from traditional French Provincial, Cape Cod and sprawling Ranch-styled homes to more modern styles that blend seamlessly with their older neighbors. House hunters can easily lose themselves along the side streets and in the cul-de-sacs on any given evening as they admire the lovely streetscapes. A home in North Central can be had for somewhere between $6 million and half a million. More modest homes and townhomes are also available as you travel farther north and east. 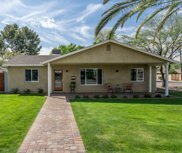 If you like the homes of North Central, you may also like those in the Arcadia neighborhood farther east along Camelback or the estates in the Alvarado Historic District farther south on Central Avenue. Murphy Bridle Path is listed in the City of Phoenix Historic Register: It’s also a Point of Pride (and rightly so!) for Phoenix. North Central has not been named an historic district by the City of Phoenix, not yet anyway. But it has been recognized as a Special Planning District which protects its residential character. 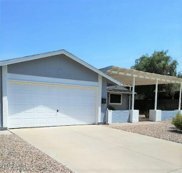 Your buyers will love this spacious charmer in a very popular Phoenix community. 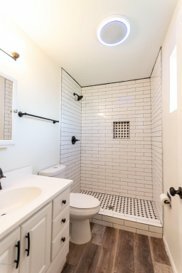 Clean and modern decor and completely move in ready. 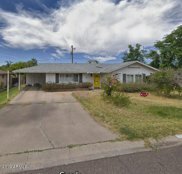 Welcome to historicphoenix.com, your #1 internet resource for buying and selling in the North Central Corridor. On this site, you will be able to find nearby school information, restaurants and grocery stores, buyer resources, seller resources, and search all North Central Corridor homes for sale. Our goal is to provide you with the most valuable information and service regarding North Central Corridor real estate and homes for sale. Through this site, we provide you with access to MLS listings and resources for buying and selling a home, but most of all, an easy way to access expert guidance as your time to buy or sell North Central Corridor real estate approaches. In today's real estate market, it takes more effort, time, and resources to sell your North Central home. We are personally committed and passionate not only about selling your home, but selling it for maximum market value. We offer our clients a full line of services and a network of service providers to not only provide you with maximum market exposure through our extensive and aggressive marketing plan, but to provide a tailor-made solution to handle all aspects of your real estate transaction including pre-listing preparation to best showcase your home. We also work with an extended list of service providers who can help meet all your needs related to the sale of your North Central Corridor home. Find out what your North Central Corridor home is worth TODAY. For most people, purchasing a home is the single largest and most exciting financial decision they can make. That is why we take finding a home for our clients very seriously. We're not only committed to finding you a home, but to finding you the absolute best home on the market at the best possible price, and if one does not exist on the market, we'll search off-market properties and do our very best to find you the right North Central Corridor home. This website also serves as a tool for clients to search properties currently on the market, receive up to the minute market updates through email, and even request showings. Start searching now OR let us do it for you!